Seyfarth Synopsis: On April 2, 2019, the Maine legislature passed a salary history ban ordinance. The law also has enhanced wage transparency provisions. The Maine legislature marked Equal Pay Day 2019 with an amendment to the Maine Human Rights Act and Equal Pay Law, LD 278 which adds a salary history ban and broadens a wage transparency provision in current law. The Maine Legislature passed a similar amendment in 2017, but former Governor Paul LePage vetoed the bill and the Legislature failed to override the veto. The current Governor, Janet Mills, has stated that she will sign the bill. Once signed, Maine will become the sixteen jurisdiction -- and the eight state -- to enact a salary history ban. Seyfarth Synopsis: California Governor Brown signed into law yesterday Assembly Bill No. 2282 to clarify previously passed legislation that prohibits inquiries into an applicant’s salary history. Read on for a recap of Assembly Bill No. 2282. 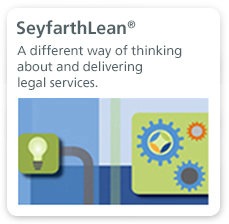 Seyfarth Synopsis: On March 26, 2018, the New Jersey Legislature passed Senate Bill 104, entitled the “Diana B. Allen Equal Pay Act,” an act modifying the Law Against Discrimination to promote equal pay for all protected classes under the LAD rather than being limited to gender. Governor Phil Murphy is widely expected to sign the measure into law, which is set to become effective July 1, 2018. New Jersey passed an all-encompassing new pay equity law. The bill, S 104, was first introduced in Committee on January 9, 2018. Because Governor Murphy recently issued an Executive Order requiring equal pay in state agencies, he is expected to continue the momentum began in the Legislature and sign the bill into law. Seyfarth Synopsis: Over the past few years we have seen groundbreaking changes to equal pay laws across the country and this trend does not seem to be slowing down. Pay equity litigation is also on the rise and we are now seeing more pay equity cases come into the spotlight, including putative class actions brought on behalf of groups of employees. Some recent examples include Ellis v. Google, Inc., No. CGC-17-561299 (Cal. Sup. Ct. Sept. 14, 2017), which we reported on here, and Knepper v. Ogletree, Deakins, Nash, Smoak & Stewart, P.C., No. 3:2018-cv-00304 (N.D. Cal. Jan. 12, 2018), which we discuss in this post. An overarching question we have to ask, however, is whether these types of pay equity cases are really appropriate for class treatment given the individualized inquiries that are necessary when analyzing pay differences. We believe they are not. Knepper v. Ogletree, Deakins, Nash, Smoak & Stewart, P.C., No. 3:2018-cv-00304 (N.D. Cal. Jan. 12, 2018) is the latest in a wave of putative class actions alleging pay equity claims. In Knepper, a non-equity shareholder of the law firm Ogletree, Deakins, Nash, Smoak & Stewart, P.C. (“Ogletree”) alleges that “Ogletree’s female shareholders face discrimination in pay, promotions, and other unequal opportunities in the terms and conditions of their employment.” Complaint ¶ 3. Plaintiff asserts nine causes of action against Ogletree, including discrimination and retaliation claims under Title VII, the federal Equal Pay Act, the California Fair Employment and Housing Act, and the California Equal Pay Act (as amended by the Fair Pay Act), as well as a California Business and Professions Code claim and a claim under the California Private Attorneys General Act. Plaintiff purports to bring these claims on behalf of all similarly situated Ogletree female non-equity shareholders. While the complaint and this type of lawsuit will undoubtedly involve a number of strategic determinations and possible defenses, this post is limited to a general discussion of the appropriateness of class treatment for pay equity claims of this type. 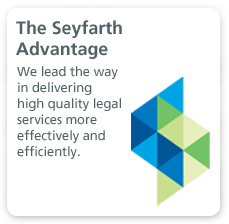 Seyfarth Synopsis: A California court recently rejected sweeping pay equity class allegations against Google, holding that the plaintiffs had failed to plead a common policy or practice that would tie together claims of wage discrimination on behalf of “all women employed by Google in California.” Plaintiffs are – for now – sent back to the drawing board. Only time will tell whether they can allege enough support to salvage their massive class, or if they will be forced to narrow their case to account for the variations in Google’s workforce. On December 4, 2017, the California Superior Court overseeing the high-profile pay equity class action against Google issued an order dismissing the plaintiffs’ complaint and striking their class allegations. This is an important decision because it identifies a fundamental pleading issue that will need to be litigated – defining an ascertainable class in pay equity class actions. Seyfarth Synopsis: California’s governor recently vetoed the Gender Pay Gap Transparency Act (AB 1209), which would have required California employers to produce pay data, without consideration of legitimate reasons for differences in pay, to the Secretary of State, who then would have publicly published the data on the internet. Employers can breathe a little easier with California Governor Jerry Brown’s veto of California’s proposed data transparency legislation — the Gender Pay Gap Transparency Act (AB 1209). With Governor Jerry Brown signing AB 168 into law today, California joins Delaware, Puerto Rico, Oregon, Massachusetts, New York City, Philadelphia (currently pending legal challenge), and its own city of San Francisco in prohibiting employers from asking job applicants for “salary history information.” This term includes both compensation and benefits. Seyfarth Synopsis: San Francisco is likely to be the next jurisdiction to prohibit employers from asking job applicants about wage history. If signed by the Mayor, as expected, the law will go into effect on July 1, 2018 (with attendant penalties to take effect on January 1, 2019). On July 11, 2017, the Board of Supervisors for the City and County of San Francisco (the “City”) passed the “Parity in Pay Ordinance,” prohibiting employers from inquiring about a job applicant’s salary history. Seyfarth Synopsis: On May 4, 2017, New York City Mayor Bill de Blasio signed into law the long awaited ban on employers inquiring about a prospective job applicant’s prior salary history. The law will go into effect in 180 days on October 31, 2017. Halloween just got a little spookier for employers. Yesterday, May 4, 2017, New York City Mayor Bill de Blasio signed into law the legislation that bans New York City employers from inquiring about or seeking the salary history of job applicants. See our previous alert about the proposed law here. The law will go into effect on Halloween, October 31, 2017. While the wording of section 2 of the law may suggest that the City Commission on Human Rights must issue regulations before the law can take effect, both the Mayor and the Commission issued statements indicating that the effective date will be 180 days from the Mayor’s signature. Seyfarth Synopsis: Businesses banded together to challenge, on First Amendment and Due Process grounds, the pay equity Ordinance which would ban inquiries into prospective employees’ prior salaries. The Ordinance, which was set to go into effect on May 23, has been stayed until the pending motion for preliminary injunction is decided. Following Philadelphia’s passage of a pay equity Ordinance that prohibits inquiries into salary history (on which we previously reported here), businesses are challenging the Ordinance. The law was slated to go into effect on May 23, 2017, but on April 6, 2017, the Chamber of Commerce for Greater Philadelphia (the “Chamber”) filed a federal lawsuit seeking to enjoin the law on numerous grounds discussed below. On April 19, 2017, the United States District Court for the Eastern District of Pennsylvania entered a stipulated order that stays the effective date of the new law until resolution of the motion for preliminary injunction. .
Seyfarth Synopsis: San Francisco may be the next jurisdiction to prohibit employers from asking job applicants about wage history. San Francisco appears to be jumping on the bandwagon of its East Coast brethren by banning employers from considering the wage history of job applicants. On the heels of the passage of a similar salary ban in New York City and a new California state law prohibiting employers from relying on prior salary alone to justify differences in pay, San Francisco is considering removing prior salary information from the job application process entirely. Seyfarth Synopsis: Today, April 4th, is Equal Pay Day. 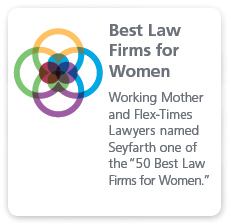 In commemoration, Seyfarth's Pay Equity Group is introducing a 50-State Pay Equity Desktop Reference. Pay Equity may be on the minds and lips of your employees today, as today is Equal Pay Day. Equal Pay Day originated more than 20 years ago as a public awareness event to symbolize how far into the year women must work to earn what men earned in the previous year. While we’ve previously examined the basis of the statistic that underlies the event, there is no doubt that pay equity has become a high priority for employers, as administrative agencies and a patchwork of states have aggressively moved to address pay equity and enforcement. What used to be a sleepy, little-discussed event has now become major news. Employers across the county have been closely monitoring the legal landscape for signs of the changes that the business community is expecting from President Trump’s administration. We have previously provided insights as to potential changes here and here. One of the most talked about areas is the U.S. Equal Employment Opportunity Commission’s enforcement of equal pay laws and the modified annual Employer Information Report (EEO-1). On February 9th, Seyfarth Shaw had the pleasure of hosting EEOC Acting Chair Victoria Lipnic, who spoke to a packed room, along with Seyfarth’s own Jerry Maatman who debuted the 13th Annual Workplace Class Action Report. Pay equity is officially prime time. For some, the Super Bowl is a long-awaited football championship game. But, for others, the Super Bowl is all about the commercials. For a price tag of upwards of $5 million dollars, advertisers are afforded global access to well over 100 million viewers, and commercials on football’s biggest day are often cultural markers of the relevant social issues of the time. This year, Audi’s Super Bowl advertisement, which ends by blazing across the screen the statement “Audi of America is committed to equal pay for equal work. Progress is for everyone,” adds pay equity to the list of social issues cemented in Super Bowl commercial famedom. As uncertainty looms at the federal level as to the approach the Trump Administration will take with respect to pay equity, the focus on pay equity continues at the state level. The Philadelphia City Council recently passed Bill No. 160840, amending Title 9 of The Philadelphia Code by adding wageequity measures to Philadelphia’s Fair Practices Ordinance, which was initially passed in 2011 to prohibit employers from inquiring as to non-conviction arrests and has since been expanded to include ban the box restrictions and mandatory poster requirements (see our prior coverage here and here). The amended Ordinance prohibits employers (and employment agencies) from inquiring about a prospective employee’s wage history. Retaliation against a prospective employee for refusing to respond to such an inquiry is also prohibited, as long as no federal, state, or local law specifically authorizes the disclosure of wage history in connection with employment. Maryland has joined states such as California and New York by passing one of the country’s most aggressive equal pay laws. Governor Hogan signed Senate Bill 481 (cross- filed with House Bill 1003) on Thursday, May 19, 2016. The law will go into effect in October. On Monday, Governor Chris Christie conditionally vetoed proposed amendments to the New Jersey Law Against Discrimination concerning equal pay for women in the workplace. As we reported previously, both the Assembly and Senate passed a bill that would impact New Jersey employers by making it an unlawful employment practice for an employer to discriminate on the basis of gender under a “substantially similar work” standard. The bill also would have allowed employees to be compared even if they do not work in the same establishment, with no geographic limitation; and, unlike other recently-enacted fair pay laws in New York and California, would have permitted unlimited back pay. Every time a client asks “what do I say” in response to employee inquiries about what the client’s company is doing to ensure fair pay, Justin Bieber’s song “What do you Mean” starts playing in my head as “What do I Say.” Luckily, while I am certainly not a Belieber, I find the song catchy rather than annoying, and appropriately thought-provoking. As Seyfarth has reported previously here, as of January 1, 2016, California has one of the most aggressive pay equity laws in the country. On April 6, 2016, California’s Division of Labor Standards Enforcement issued a “Frequently Asked Questions” on the California Equal Pay Act, as strengthened by enactment of the California Fair Pay Act of 2015. Today five members of the reigning World Cup and Olympic champion U.S. Women’s national soccer team filed a complaint with the Equal Employment Opportunity Commission (EEOC) alleging wage discrimination. In the EEOC charge, the players contend that even though the women’s team is the driving economic force for U.S. Soccer, its players are paid far less than their counterparts on the men’s national team. The players filing the complaint are some of the highest profile and most decorated: co-captains Carli Lloyd and Becky Sauerbrunn, forward Alex Morgan, midfielder Megan Rapinoe and goalkeeper Hope Solo, acting on behalf of the entire women’s team, saying they are all employees of U.S. Soccer through their national team contracts. On Monday, the New Jersey Assembly approved a pay equity bill that would amend the New Jersey Law Against Discrimination to strengthen protections against pay discrimination in the workplace. From high profile cases in Hollywood to the Silicon Valley, to high-profile legislation, gender pay equity has been top of the news in the past year. On January 1, 2016, the California Fair Pay Act — widely publicized as the toughest (gender) pay equity law in the nation — became effective. Other states (Massachusetts, New Jersey, New York) and even the EEOC have since pursued similar action, through various means. Just as companies are struggling to get a handle on the new gender pay equity requirements, the California Legislature (not unexpectedly) is looking to expand the law further.